A version of this article was originally published at EzyInsights. Recently announced changes to Facebook’s News Feed algorithm are causing a lot of fear and uncertainty among publishers. The company has not provided specifics on how or when the changes will be implemented, and the majority of the discussion is driven by speculation rather than facts. Based on our data, there is no reason to panic. Facebook has announced similar changes to News Feed before. Starting in June 2016, after news broke that the algorithm would begin prioritizing posts by friends, we noticed a U-shaped curve: some publishers’ engagement went slightly down, but then Brexit and U.S. presidential elections happened and the same publishers’ engagement went back up. In the second half of 2017, overall engagement for digital publishers again fell — this time dramatically. Digital publishing isn’t a monolithic industry, however, so we broke out the data to look at engagement with news outlets on Facebook separately from engagement with producers of viral content and controversial publishers. We also compared engagement trends across the U.S., U.K., continental Europe and the Nordic countries. All of this suggests to us that news publishers will be hit hardest of all by Facebook’s latest decision. It’s less clear how viral and controversial publishers, who showed continued strength through algorithm changes last year, will be affected. What’s certain is that publishers can’t abandon Facebook, they will have to focus on sharing and engagement to stay in the game, and keep a close eye on analytics to gauge any big changes. To understand Facebook engagement trends, we analyzed how much readers engaged with (i.e. liked, hated, loved or shared and commented) posts by top publishers in each category of news. Publishers that made the list had Facebook pages with the biggest volume of engagement on their posts as of December 2017. For news and tabloids, we analyzed the top 10 publishers in each country, and for viral and controversial news, the top 5 publishers. The table below shows the total number of Facebook interactions we analyzed from December 2016 to now. Here’s what Facebook engagement looked like for publishers in 2017. Looking at the overall decrease in engagement volumes, it’s possible that Facebook already made changes to the News Feed algorithm last year, and only announced it now. We also need to consider that news-wise, the second half of 2017 has been relatively calmer than the first half, with the exception of the #MeToo movement, which continues to have ripple effects across the world. In the first half 2017, media was full of reports about the start of Trump’s presidency, fake news, Russian meddling in the US elections and natural disasters, including several hurricanes. In Europe, we saw news around Brexit, elections in France, The Netherlands, Germany, and other countries, Grenfell tower, the Stockholm terrorist attack and more. All of these events drove a lot of engagement, and we haven’t seen as many big news events in the second half of 2017. That could be another reason for the overall lower volume of Facebook engagement for news publishers towards the end of last year. On the other hand, viral publishers’ engagement has remained steady throughout 2017. We would expect to see this as their content is designed to be shared, liked and commented, and the News Feed algorithm will continue rewarding that behavior. Worryingly, however, controversial publishers’ engagement rose throughout 2017. Their stories are designed to evoke strong emotions which drive engagement and debate, things that Facebook suggests will be important for News Feed visibility in the future. 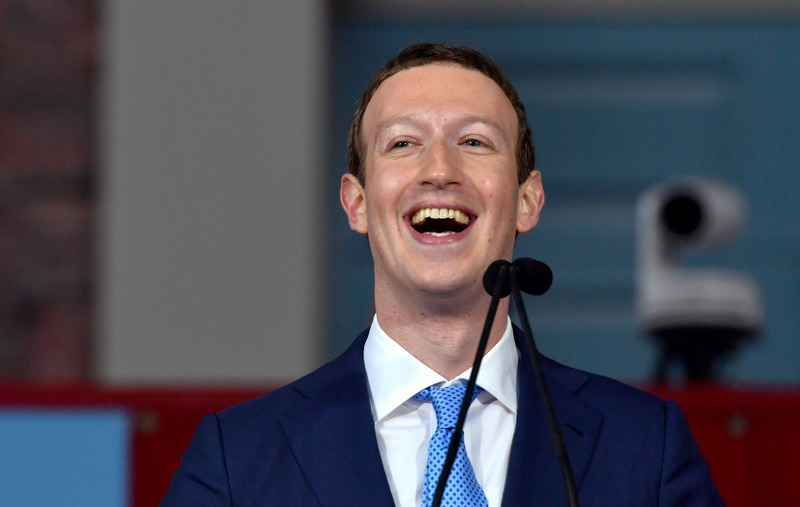 Recently Mark Zuckerberg added that Facebook will give more weight to “reliable” news sources, as marked by the users. Will this have an effect on controversial publishers, since people who regularly engage with these pages are likely to mark them as reliable news sources? We’ll have to wait and see. What does this all mean for publishers in 2018? Web shares are growing in importance. Make sure it’s easy and compelling for readers of your website or app to share your stories. Engagement has always been important and that’s clearly not changing. While some publishers are struggling to convert engagement into traffic or revenue, publishers who’ve invested in this area already have stable business models and revenue streams. These publishers will focus on maximizing the potential of their Facebook presence as usual. Publishers who haven’t invested in this area are likely to suffer, though they’ve probably been lagging behind in terms of social traffic already in 2017. Keep calm and carry on. With 2 billion active users, Facebook is (still) an important source of referral traffic for publishers. Whether your business relies on traffic, subscriptions, or additional streams like events, reaching your audience through Facebook is still possible and free. Look at the data. Uncertainty over News Feed changes causes fear and that uncertainty is not likely to go away as Facebook will continue experimenting with their algorithm. Publishers need to have a strong analytics team and reliable tools to look at their own as well as their competitors’ data to understand what’s really going on. That way, they can respond to the real effects of any changes and not the imagined scenarios. Varpu Rantala is EzyInsights’ data scientist. Anna Bessonova contributed additional analysis.